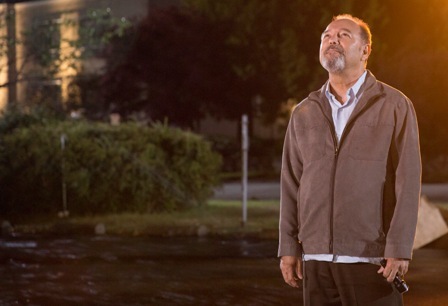 The first season of Fear the Walking Dead has come to an end, and really it seems like it just started. The season finale raised the intensity level, but they should have gotten to this level of excitement much sooner. It’s not just a bunch of walkers (producer Dave Erickson said on The Talking Dead they will be called something else on this show next season) that made the episode good – though they helped a lot – it’s that we finally had a reason to really care about these characters. It’s easier to root for people when they are in real peril and fighting for their lives. It’s not so easy when they are just hanging around the house mulling things over. Season one of Fear the Walking Dead was a good setup for season two, but I can’t call it great season on its own overall. I liked the beginnings when people didn’t know what was going on and I liked how it ended up with things really falling apart. The middle was just okay with a handful of good scenes and some character development. Travis goes ballistic: Finally Travis (Cliff Curtis) shows us what he’s really made of. He’s tried so hard to be the peacekeeper, but enough was enough. Don’t cross him or he’ll punch your face in. Strand: I don’t know exactly what Strand (Colman Domingo) is all about, but he is interesting. Is he good? Is he bad? Does he really want to help these people? I don’t actually think so. He saved Nick (Frank Dillane) because he thought he needed him. Maybe he thinks he needs help to get to his awesome yacht that’s parked out in the bay. He is what I’m looking forward to the most about season two. Tons and tons of ‘walking dead’: They’ve been locked up the whole season, but finally they are here and things will never be the same again. If anyone still had any hope about things going back to normal, it’s gone now. Daniel: I just don’t like this character. I was hoping he would be the one to get killed. There’s being tough like Madison (Kim Dickens) and then there’s being a cold-hearted sadist. I just find Daniel (Ruben Blades) to be too extreme. He’s as bad, if not worse, than any of the people we root against on The Walking Dead, but it feels like we are supposed to be rooting for him here – or at least think of him as a necessary evil. What happened to the person signaling them? : What was the point of the person signaling them from outside the safe zone? I thought there would be some payoff to that. 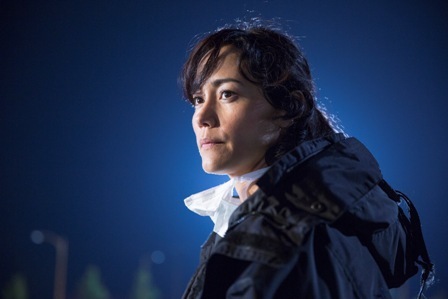 Only one major death: I don’t want this show to a be a “who’s going to die next” guessing game, but Liza (Elizabeth Rodriguez) was a soft choice for the one big death this season – and no I’m not counting Griselda (Patricia Reyes Spindola) as major, since the writing was on the wall for the one the whole time. I honestly thought they were going to kill Nick off. While I didn’t want to see him go, it would have been a bold choice. 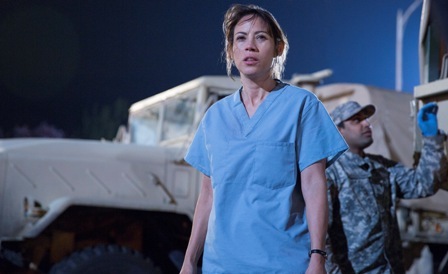 Final thoughts: I didn’t love Fear the Walking Dead, but I do plan to give it another try next season. The finale showed a lot of potential now that we’ve moved out of the neighborhood. I think the yacht gives the opportunity to do something completely different, assuming they make it out there. Sherry is a writer/blogger specializing in entertainment and food writing. You can find her gluten and grain-free food articles at scdforlife.com. The signaling wasn’t a person it was the muzzle flash of them getting rid of the infected. Ah, thanks. I guess I didn’t quite pick up on that. No. It was a person, but once the military found them, they found the house and killed them. THAT was the muzzle flash. It signaled Travis’ understanding that the military guys were not there to help. Thanks! I think I was hoping for a new character, so I kept hoping more would come from it. Thanks for the comment and pointing that out! The signalling from when they went on the roof in episode 5? I believe it was a person or persons but after Travis told about them to the military, the military killed them. At first it was a light signal, the last scene was muzzle flashes.